Amethyst faceted Pendulum can cure insomnia. Hold it or rotate it around your body before sleeping to have restful sleep. 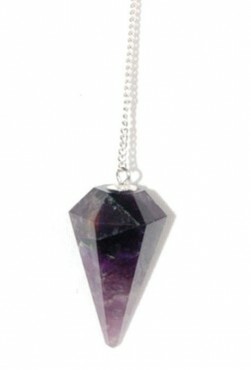 Natural Agate offers this pendulum in sizes 20-50mm.